If you want to see all the highlights of east coast USA and Canada, then this is the self-drive itinerary for you. 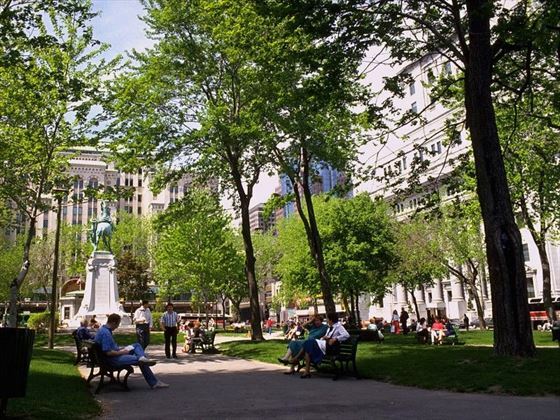 Beginning and ending in New York you will travel north through New England, visiting beautiful Cape Cod, historic Boston and the stunning Arcadia National Park. 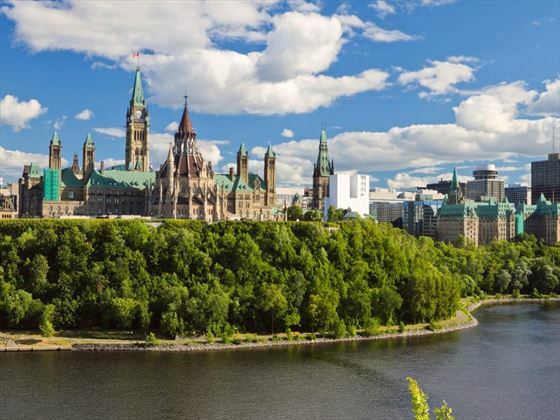 Then cross the border into Canada, starting with charming Quebec City, cosmopolitan Montreal and the capital Ottawa. 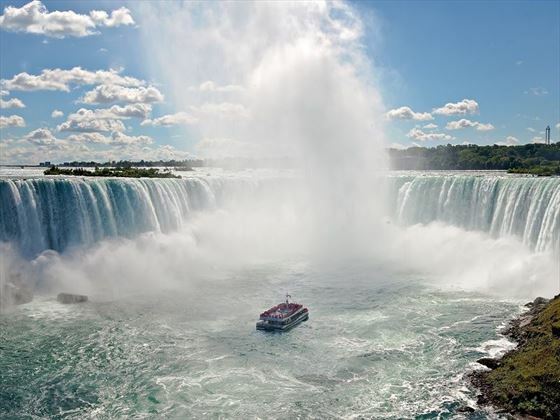 After a stay in Toronto, you'll experience one of the natural wonders of the world - Niagara Falls. 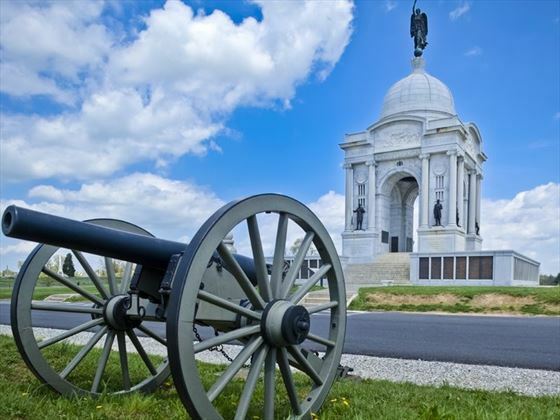 Cross the border back into beautiful upstate New York, travelling through historic Gettysburg and onto wonderful Washington DC with it's museums, memorials, art galleries and of course the White House. Your final night is in the fun city of Philadelphia, where you can stock up on duty free shopping before your flight home from New York. 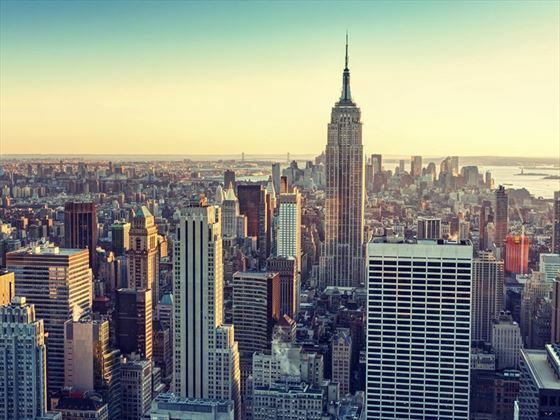 Today, arrive in New York City, the world-famous Big Apple. Transfer independently to your hotel. Enjoy your evening at leisure exploring the city. 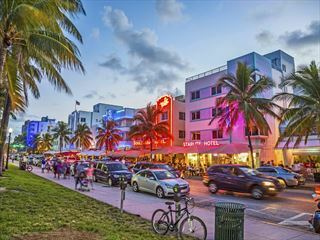 After picking up your rental car, you will drive east through the coastal towns and villages bordering Long Island Sound and pass through Connecticut and Rhode Island en route to the rustic charm of Cape Cod. The heritage of colonial America is revealed today as you visit cities founded by the Pilgrims and the Puritans. In Boston, you can visit the haunts of the revolutionary patriots who stoked the fires of democracy throughout the Colonies. 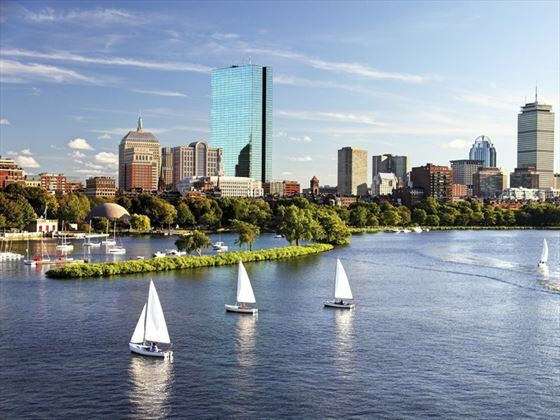 Driving north along the eastern coastline, you will pass through Salem, Massachusetts—the sight of the only witch trials in the United States and the historic port city of Portland, Maine. Then on to Bar Harbor and Acadia National Park. Journey across the Appalachian Mountains and past Moosehead Lake before crossing at the U.S. Canadian border into the Frenchspeaking Province of Québec. Bright blue and white farmhouses dot the landscape as you travel through rolling countryside toward the provincial capital of Québec. A day at leisure in the wonderful city of Quebec with its fascinating history and old fortified city walls. Stroll the cobbled lanes and discover the handsome buildings and history, but also take time to enjoy a break in one of the lovely French inspired cafes. This French heritage ensures that you will have a delicious dinner this evening, in one of the atmospheric restaurants. 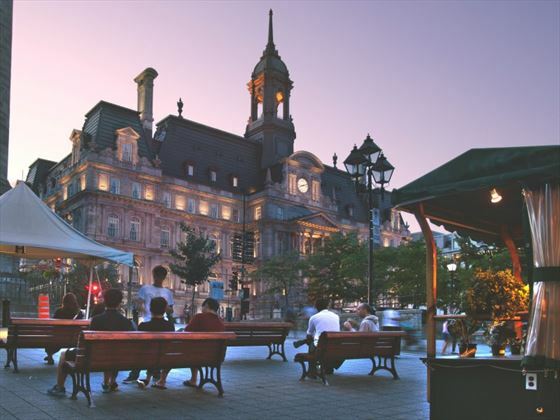 A full day to discover romantically medieval Québec City and experience the locals’ joie de vivre. Fortifications of Upper Town overlook Lower Town with its narrow, steep cobblestone streets at the river front. Visit the Citadel and Place-Royale. A short drive away is Île d’Órlèans. The island’s shoreline is dotted with attractive Victorian-style summer homes. Today drive to Ottawa, Canada’s national seat of government. A lovely city to explore, with it's grand parliament buildings, fascinating museums and galleries. Toronto, located on the shores of Lake Ontario, is a modern banking and business center. 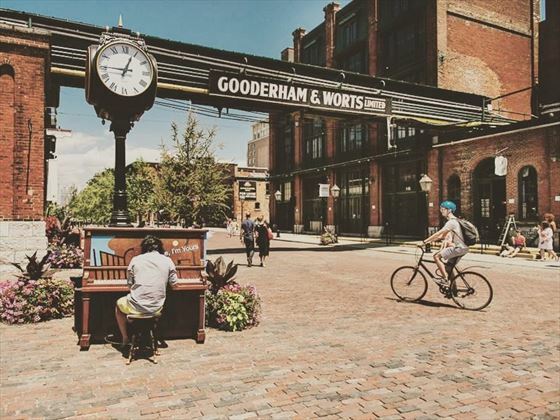 Today you will have time to explore the ethnic diversity of Toronto’s neighborhoods, or enjoy the panoramic view of Toronto and Lake Ontario from the CN Tower, the world’s tallest free-standing structure. Enjoy the Finger Lakes region of upstate New York en route to the state of Pennsylvania. The simple lifestyle of the Pennsylvania Dutch enhances the rural beauty of the area. Continue to visit to the most famous Civil War battleground, Gettysburg. 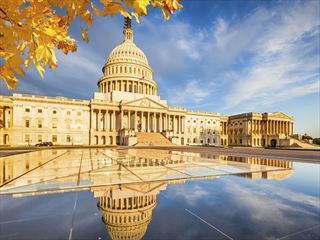 After a leisurely start, drive south to the nation’s capital, Washington DC. 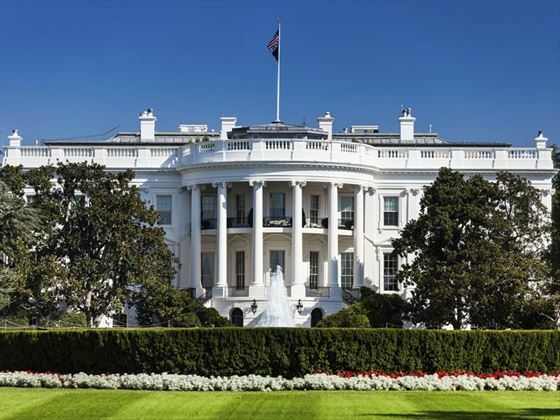 Stretch your legs with a stroll around Lafayette Square to the White House and then head east through Constitution Gardens, skirting the Reflecting Pool until you get to the Lincoln Memorial and the Potomac River. At the Vietnam War Memorial, veteran volunteers will talk to you about the stories behind the monument and the Korean War Memorial is a striking and moving series of sculptures depicting the soldiers who fought in this war. 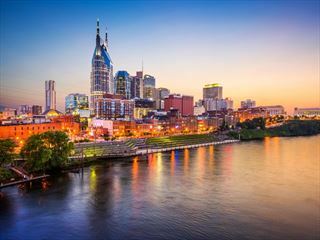 Explore the monuments and museums of this grand city. The Smithsonian Institution, a world-renowned complex of museums fronting the Capitol Mall, is a repository of national artefacts and treasures. 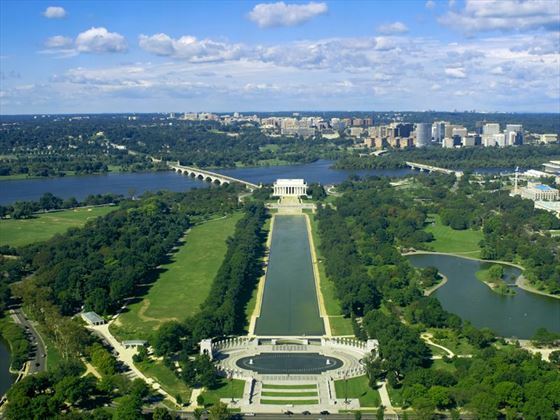 The views from the Washington Monument and Capitol Hill provide unforgettable images of the city. 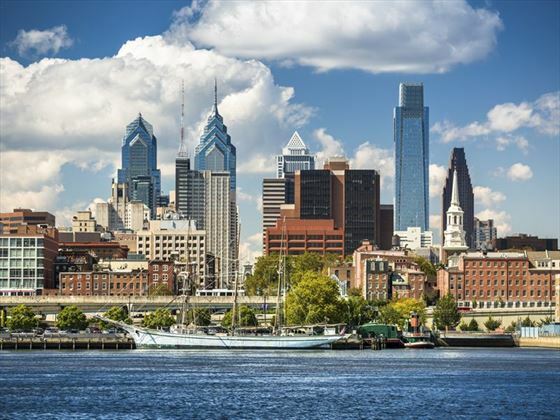 Drive to Philadelphia for the final stop of your grand tour. Here you can see the Liberty Bell and Independence Hall, and enjoy the extensive duty free shopping. Leave Philadelphia for the final leg of your tour. Once over the Delaware River you will arrive in the Garden State of New Jersey en route to New York City, and the airport, where you will return your car, then take your flight home.